As we near the race season with many people getting close to their A race, we provide a few reminders on what to focus on to ensure you have a great day out and limit race nerves. For the most part it is about being organised but remember, it isn't just organising yourself. You need to control the controllables – it may be the race becomes non-wetsuit, or the course has to have a last minute change. You cannot do anything about these things, however, your attitude to these changes will make the biggest difference. By being organised from the start and having a plan, you will find it easier to "roll with the punches" of change and ensure you and everyone supporting you has a lot of fun. Below is a a non-exhaustive categorised list of what to consider before race week. Coach Alan checking on any equipment needs for Team athlete Jason Walkley! Many race logistics should be organised well in advance of race week. Nevertheless, it is always worth going back over them and putting them into some sort of schedule or diary to make sure it works in reality! Make sure you have booked your accommodation and have the booking confirmation easy to hand. You don’t want to arrive late after work and need to chase them up for a booking or worse yet, realise you haven't booked anything at all. Ensure all travel arrangements are sorted - if you are travelling internationally and your bike is being packed up, make sure you are confident on the pack down and rebuilding of it – if you aren’t sure, now is a good time to get sure! If you are sending your bike onwards, make sure training can be done around the bike pick up and delivery – let your coach know so they can create your taper around that. Work out your routes to and from your accommodation to Race HQ, registration, swim start, finish line (if different location). Find out where you can get dinner the night before (book it as the local Italian is likely to get very busy)! Remember to allow for "race brain" (lack of all intellectual capacity and high amounts of doubt when you are about to race so everything takes longer) and the fact that everyone else who is trying to get to the same place also has "race brain". It takes the stress out of racing and gives you time to get in the portaloo queue early! Does the sun affect morning swim sighting? Do I know which way round the course is? Do I know of any/can I use any significant sighting landmarks? What are the water/weather conditions and how might that effect the swim? What is the flow of T1 – where is my bag/where is my bike!? What is the transition surface? Where is the mount line and what does the first 500m of the bike course look like? 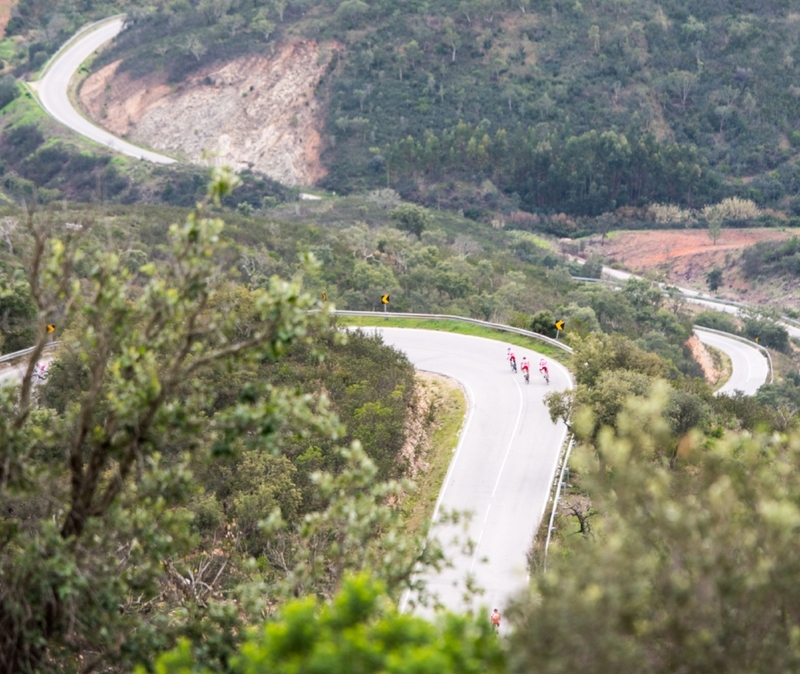 What is the road gradient over that 500m out of T1 – What gear should I have to start off? Are there any dangerous/technical sections on bike course? Do I know the bike course, how can I break down the sections of it? Roads into T2 – when can I take my feet out of my shoes and dismount efficiently? Where is the dismount line and what is the approach to it like? What is the flow of T2? What running shoe should I use based on the terrain and surface of the run? How can I lap count for each discipline? Are there any technical sections? 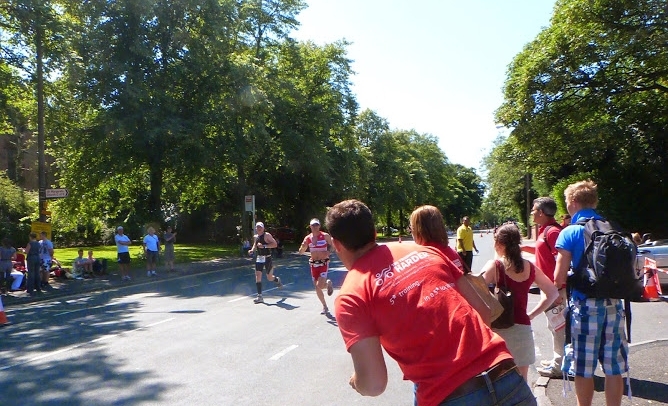 This may sound crazy, but your friends and family who have come to support you have literally no idea about what you are doing or the course itself, they don't know (and frankly don't care that much) about the big hill at mile 20. They probably don't even know what you are wearing, or what distance you are racing. Or even what a triathlon is. They will be asking questions and wanting to know more about you and your race even though you may well have told them everything they need to know twice already. It is also a hard day for them – read Coach Sorrel's article here. Plan for this in advance and then in the last few hours before the race, you don’t need to worry about anything! Think about your own predicted times so they know roughly where you would like to be and when, let them know about start times, transitions, locations etc. Often writing these on a course guide are really useful for them. There may be a need for external transport (buses etc) for them to get to places. Organise the tickets yourself in advance. It is easier than in the last few minutes them chasing you to find out where the bus is. Offering support as a spectator! If you are hunting category victories, or qualification, let them know (if you want to) what to look out for to identify other people in your age group, this information at the correct time may be far more useful for you than “Go, go…looking strong”. There is also some helpful and comical advice from TTH Coach Philip's Brother here on the life as a spectathlete! Finally, agree a meet point after the race and let them know it could be a while. 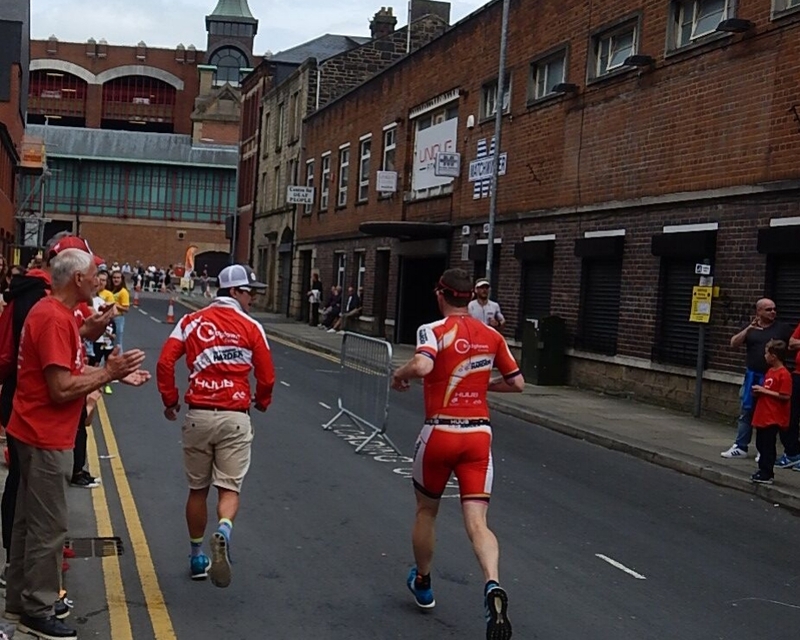 There have been many distraught wives, husbands, partners, family or friends around the finish area as they wait for their significant other thinking they have collapsed over the line when they were actually in the athlete village scoffing their face with pizza or having ice cream. Finally, and almost most insignificantly is your training in the run up to the race. We don’t have the space to discuss tapers here. However, consideration with your training is really easy – do what the plan says, and make sure you don’t do what is called a panic taper. This resembles cramming for your final exams! Trust the training you have done and trust in your own ability. Whatever you have (or have not) done has been done and you can’t make a significant change now to be more ready, but you can over do it. Less is more and it is better to be 1% under-trained than 1% over-trained. Going into race week, work out when you can do your training and recognise that it may be in a different location to normal as you arrive on location – try and do it at the same time as you would be racing, don’t sacrifice sleep for your training – do what you can and make sure you are well rested for the event – don’t add more stress by forcing yourself to squeeze it all in before you go away!